When future historians sit down to write the history of the Syrian conflict there is a simple test that will determine whether their objective is to mine and reveal the truth, or whether it is merely to shovel more dirt onto the mountain of the stuff that’s been erected over the course of its five long years as a monument to propaganda. The test will be their depiction of the Syrian Arab Army and its role in the conflict. If said historians credit it with holding the line against the forces of hell that were committed to the country’s destruction as a secular, non sectarian, multi-religious and ethnic state, enduring the kind of losses and casualties placing it among the most courageous, resilient, and heroic of any army of any nation that has ever existed, then people will know that truth rather than propaganda has prevailed. The war in Syrian confirms the abiding truth of those words when we consider the epic nature of the destruction it has wrought, the tragic human cost, and how it has shaken Syrian society to the very limits of endurance. It means that while the country’s survival as an independent non sectarian state may by now be certain, its ability to fully recover from the earthquake Rankin describes is something that only time will tell. 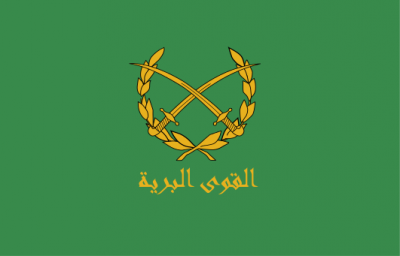 But the fact the country has managed to achieve its survival and, with it, the opportunity to recover is predominately the achievement of the Syrian Arab Army, whose complexion is a microcosm of the very society and people it has defended – Sunnis, Shia, Druze, Christians, Alawites, etc. In the process of doing so, as these words are being written, it has lost over 60,000 men according to the latest report by Robert Fisk, one of the more estimable Western correspondents based in the region. This is without factoring in the 1000-plus Hezbollah fighters who’ve been killed, along with Kurds and members of the various government-allied militia groups. It also does not include the tens of thousands who’ve been wounded or maimed. But just think about this staggering statistic of 60,000 killed for a moment. In a country with a population before the conflict began of 25 million, and an army numbering in the region of 220,000 at full strength, the loss of 60,000 troops places the epic nature of the conflict in which they perished on a par with the Eastern Front during the Second World War. Russian aid and solidarity has of course been a key factor in turning the tide of the Syrian conflict. But all the aid and solidarity in the world amounts little without a people and army’s will to resist the invasion of the country by thousands of extremists whose passions for butchering human beings in the most heinous ways imaginable qualifies their labelling as barbarians. The salient point lost in the countless columns, reports, and op-eds that have been written and published, equating these barbarians with the Syrian government and its military, is that the Syrian Arab Army and Syrian people are one and the same in that one begins where the other ends and vice versa. The ability and willingness of the army to endure the battering it has, and which no other army in the region could have withstood, has been contingent on the support from the Syrian people. This support has been constant even in the midst of the huge external pressure arrayed against the country from Western powers that at one point were convinced that the army’s collapse and total defeat was only a matter of when and not if. The current ceasefire, brokered by Russia and supported by Washington, takes place at a time when the conflict has turned emphatically in the government’s favour. During an offensive operation that began in early February, the SAA has smashed its way across the north of the country. Combined with an offensive launched by the multi-ethnic SDF (Syrian Democratic Forces) in northern Aleppo province, it has effectively succeeded in encircling Aleppo city and cutting the main supply routes to the opposition forces in control of a large part of the city from Turkey. Given the number of armed factions involved in the conflict, the lack of any central command structure directing its activities, the fact that the ceasefire has thus far held with only a few minor violations is testament to the changed reality on the ground. The machinations and plotting and mendacity of the Saudis and Turks – not forgetting their Western allies – have all come to naught in a country where every town and street, every hill, village, and road has been touched by war. It is proof that in the last analysis history is made not by governments, diplomats, or functionaries in palatial staterooms and chancelleries. It is made by ordinary men and women willing to fight and die in defence of their people, homes and communities, and whose honour in doing so contrasts with the dishonour of those who made the mistake of regarding Syria as just another piece on their geopolitical chessboard. No one should ever underestimate the human cost of protecting Syria’s sovereignty and integrity. Do so and you denigrate those who have fallen and those who will undoubtedly fall as and when the fighting resumes. Neither should we underestimate the size of the mountain to climb before Syria is put back together when the guns eventually fall silent. For just as one struggle ends another will begin. John Wight‘s work appears regularly at RT, Counterpunch, the Morning Star, and he is a regular commentator on BBC Radio Scotland.